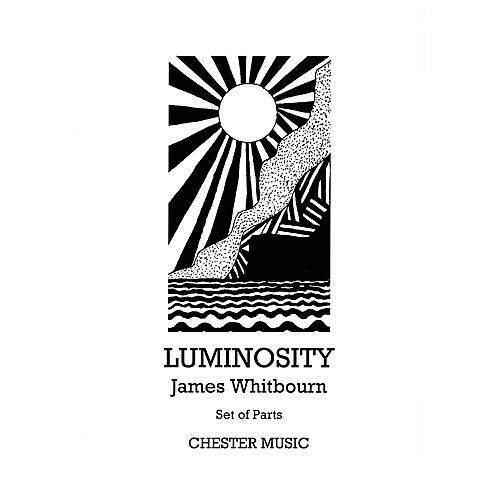 Luminosity is commissioned by the conductor James Jordan of Westminster Choir College for the Westminster Williamson Voices, the women of the Westminster Schola Cantorum, the Blair Academy Singers (conductor, William Hammer) and the black-light dance company Archedream, for performance in Philadelphia Cathedral during April 2008. The text, compiled and edited by the composer, centres on the transcendent beauty of creation expressed by luminaries down the ages. Texts are taken from the writings of St. John; St. Teresa of Avila; Ryonen; St. Augustine; Julian of Norwich and St. Isaac of Nineveh.